Superdry the American vintage brand have released a range of female fragrances entitled NEON with four different scents & neon coloured bottles. That's right ladies it's our turn after the brand catered for men for so long in the fragrance sector with Steel & Black along with our four the men's range has also expanded with two more bottles. Yet today is about NEON blue*. Being surprised with this fragrance it was a nice surprise as I do love a good old perfume and even though perfume can be something personal I'm happy that this is right up my ally. 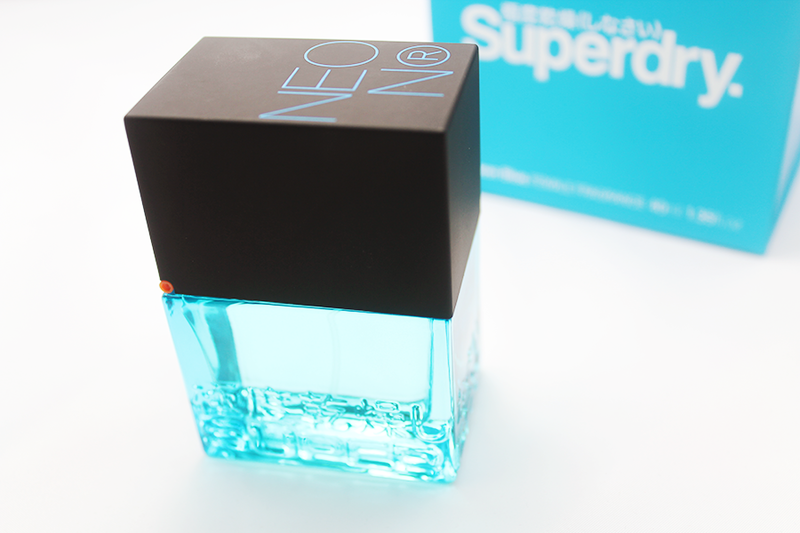 Once I took NEON blue from out the box, I will not lie, I did try to take the lid off but it's actually a flip top, which reminds me of a flip top lighter & that Iove, it gives the bottle that something extra other than the bright glass with the signature Superdry logo. You can tell they have thought a lot about the appearance of the packaging and isn't that always what catches our eyes? 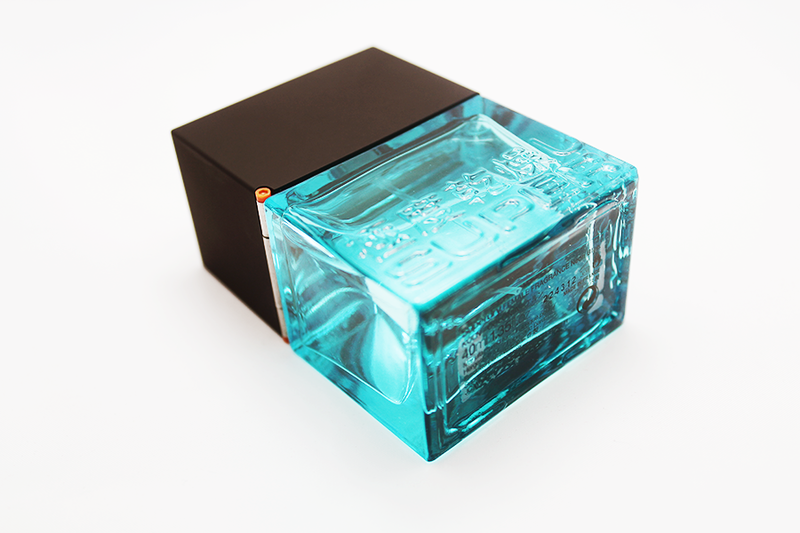 NEON Blue & NEON Orange would probably of been my two picks so I'm fortunate to of got the blue - must now get the orange, I love citrus scents. Blue definitely is fresh, it reminds me of fresh sheets straight out the tumble dryer - yes, I said it - the tumble dryer lol but it also makes me think of a nice Summers day when flowers are fresh and the smells compliment one another and makes you feel fresh ( even if you are sweating ) I like how this scent lingers onto my skin. I always like to apply perfume on the back of my leg, back of my ears and wrist & I enjoy late in the afternoon I can smell it on my wrist - yes I'm smelling myself right now. 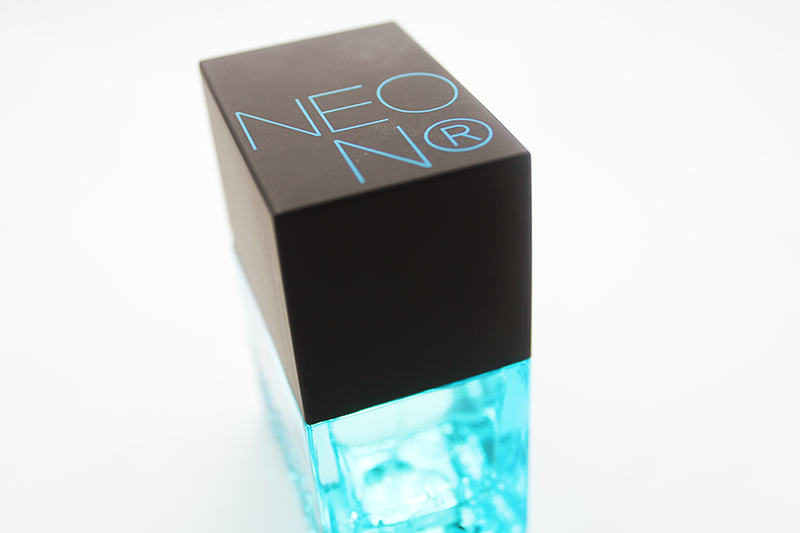 This has to be one perfume I've enjoyed smelling this year- shall we see how long it now lasts? 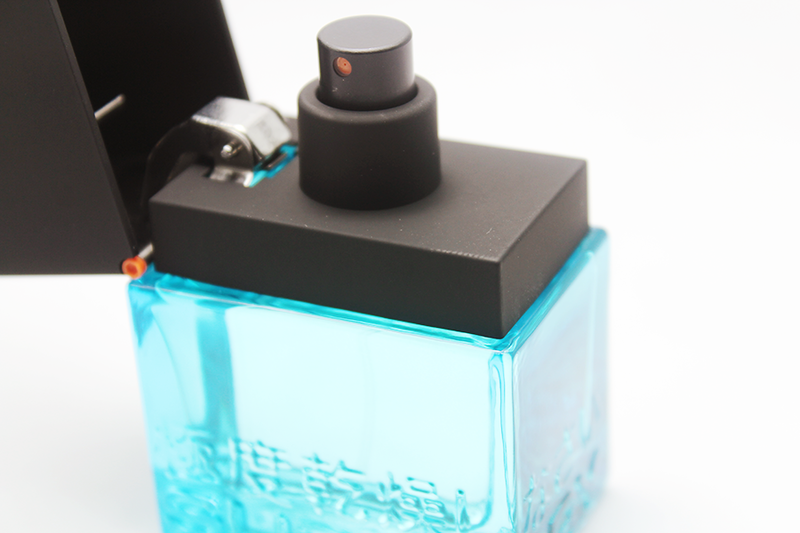 I think adding the little orange hinge to the bottle is a clever way to get their signature colour in too! This sounds nice, I want he he!